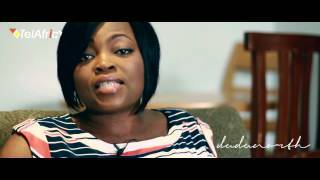 Nigeria's Channels TV takes us behind the scenes of Jenifa's Diary TV Series with Nollywood Actress Funke Akindele being the star of the comic drama. You can say that Funke keeps her promise to continue thrilling fans with the Jenifa character. Watch Funke Akindele as she works behind the scenes on her newly released TV series, Jenifa's Diary!